I found this long forgotten Firebird GTA that is in dire need of a rebuild...or I just needed another distraction. LOL This I believe was the High Performance Series kit since the Buick V-6 engine is wired and plumbed and I didn't do that unless the necessary parts were in the kit. 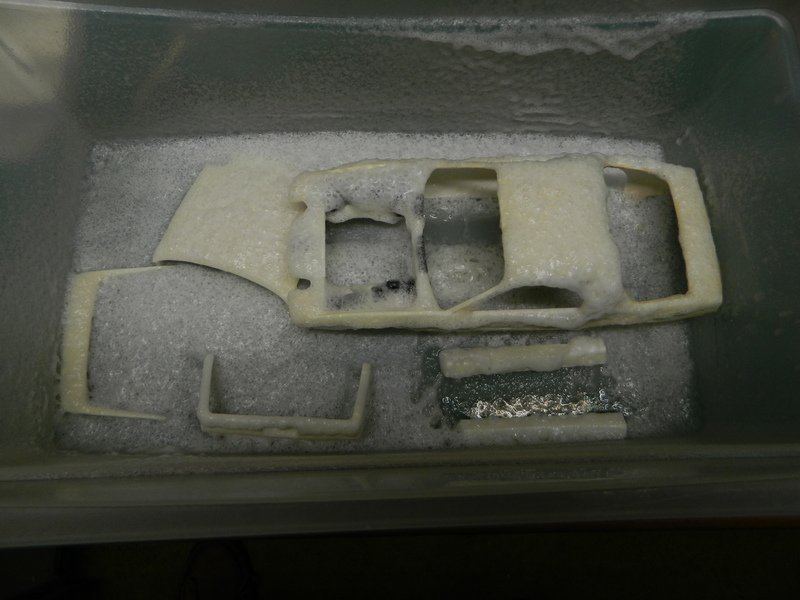 Anyway, this Firebird GTA will be blown apart, rechromed, repainted, and rebuilt. This is probably another one of those models that I originally built in a weekend. 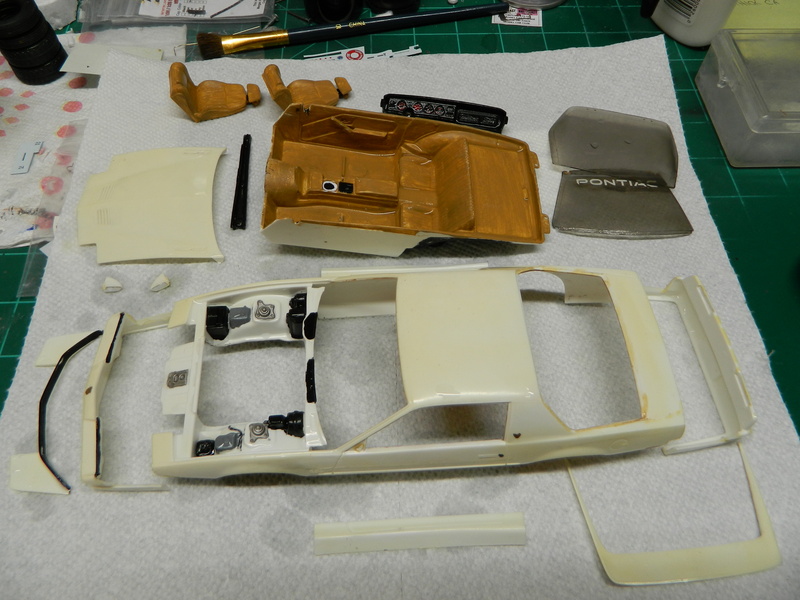 Once I take the model apart, everything will be washed, inventoried, and refinished. 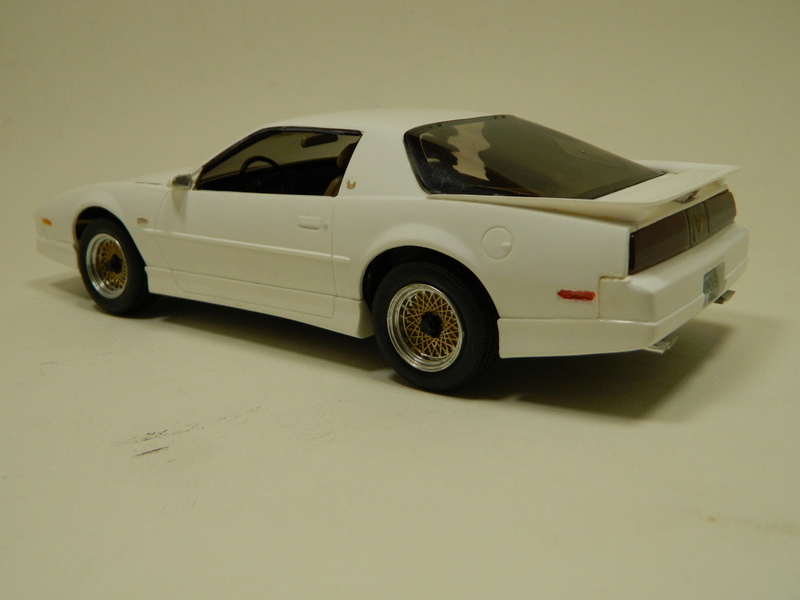 The wheel rims will need to be rechromed. 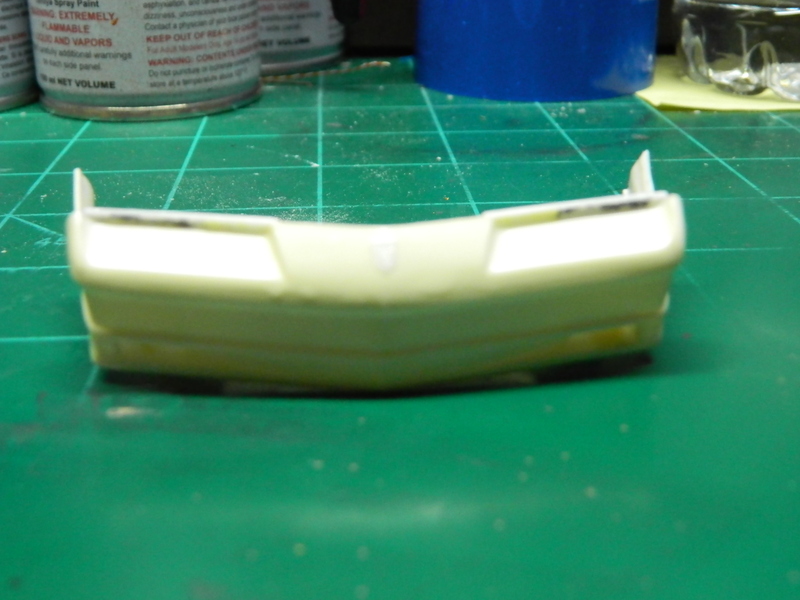 I never painted the model, but I did clearcoat it with enamel clearcoat which has yellowed over time. 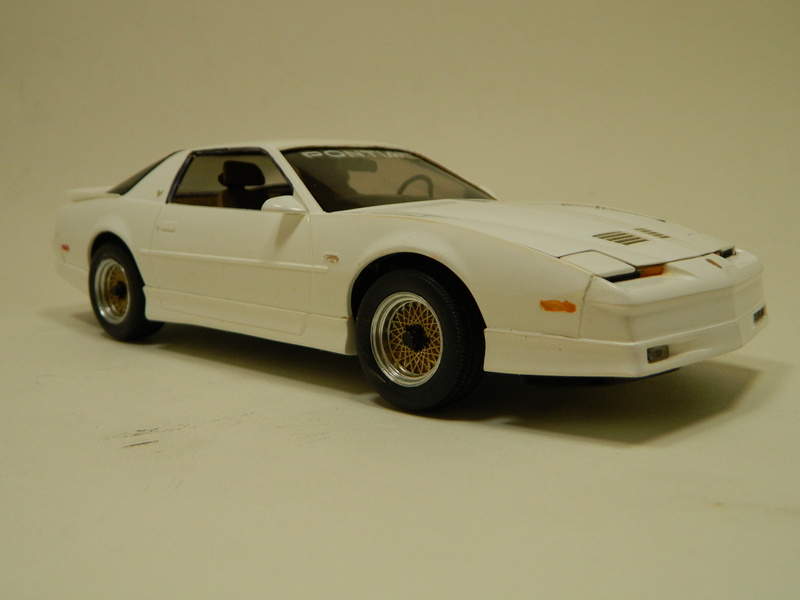 I always thought the Firebird GTA looked great in white, but I may paint it another color. Ha!! Managed to find it here too. Looking forward to it Mike. 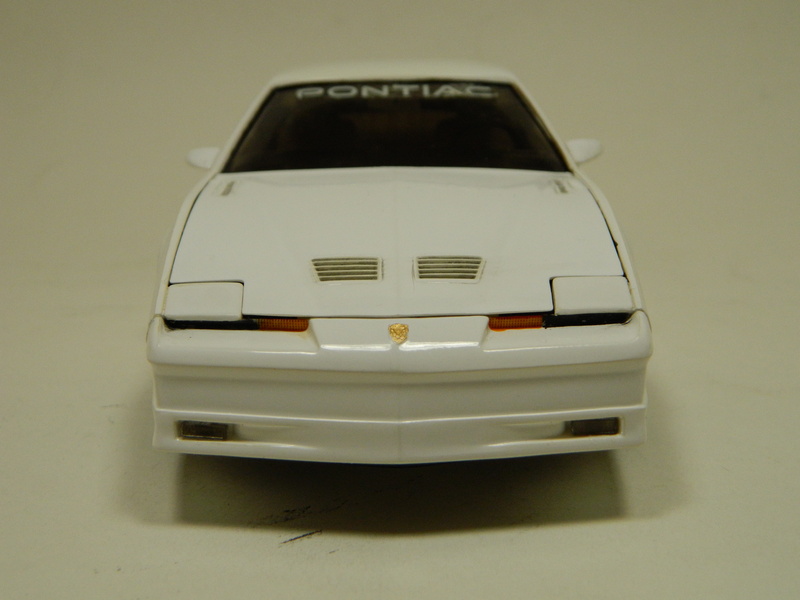 What you have is the 89'T/A,it was the indy pace car for that year with the Grand National engine,Amt did the same kit with the Pace Car decals.Looking forward to your restoration,also the pace car only came in white. Thank you guys! 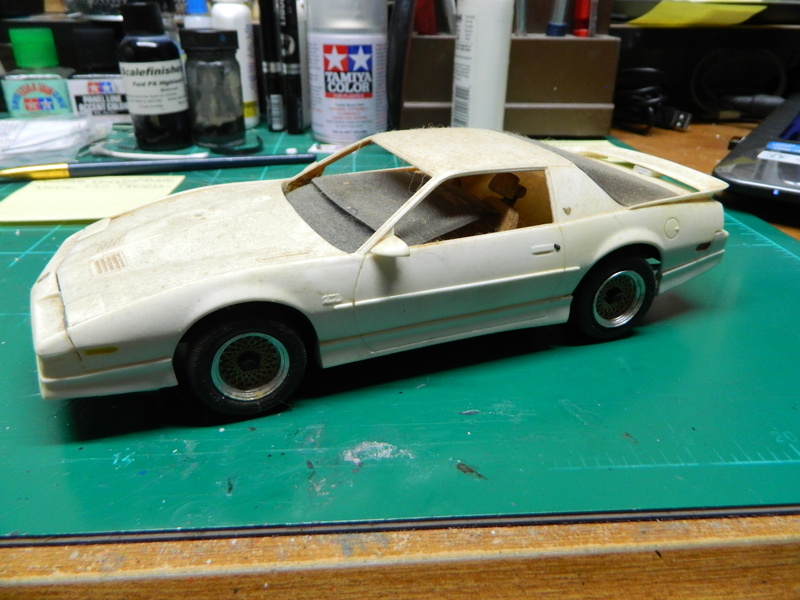 I have been building constantly since 1983, so I don't remember when a specific model may have been built. I don't know the history of this kit other than that it is hard to find along with the AMT version, although I have seen a few Monogram and AMT kits on ebay. 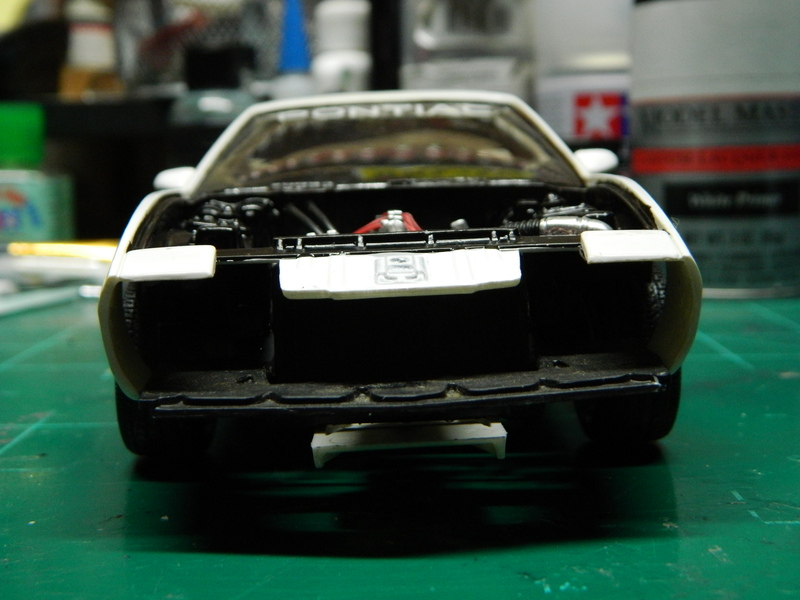 I may decide on the body color after I wash everything and start on cleaning and repair of the rest of this build. Thank you mclovin for the correction of the model year! 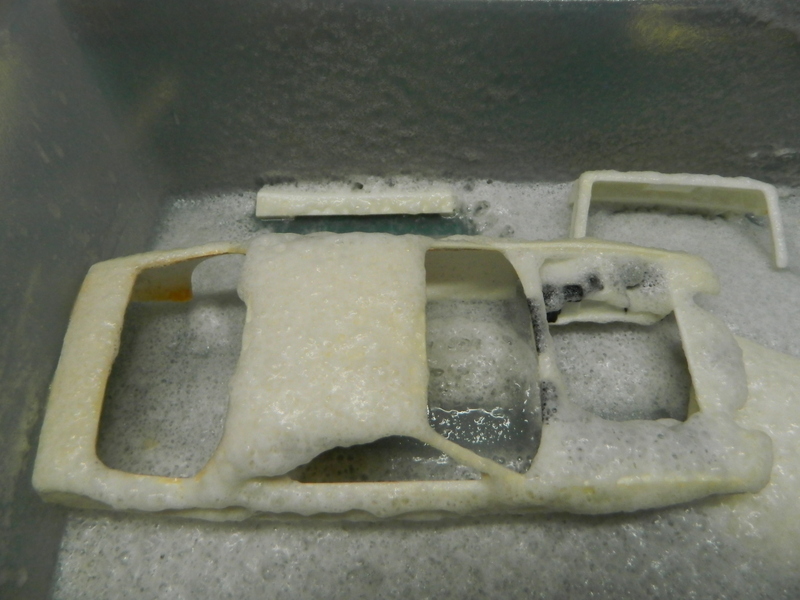 I washed the parts of my '89 Firebird GTA this morning. 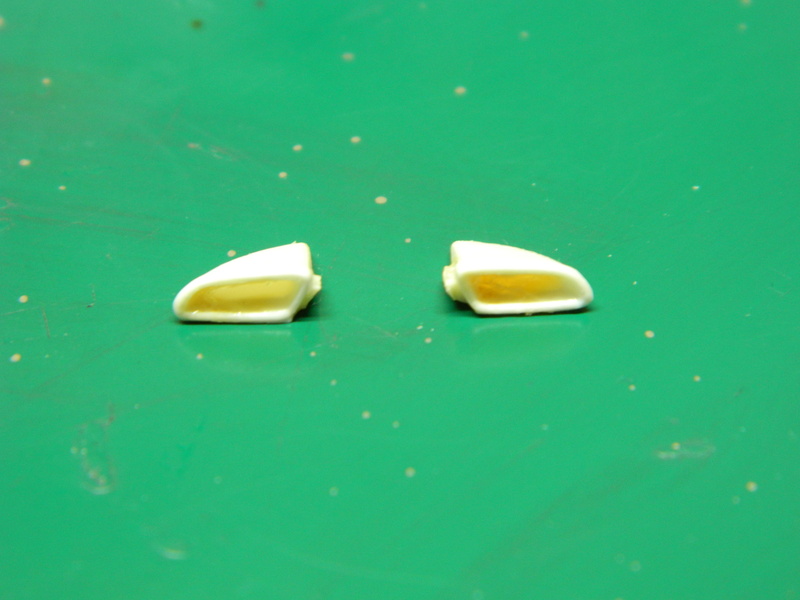 As you can see, the enamel clearcoat has yellowed over time. 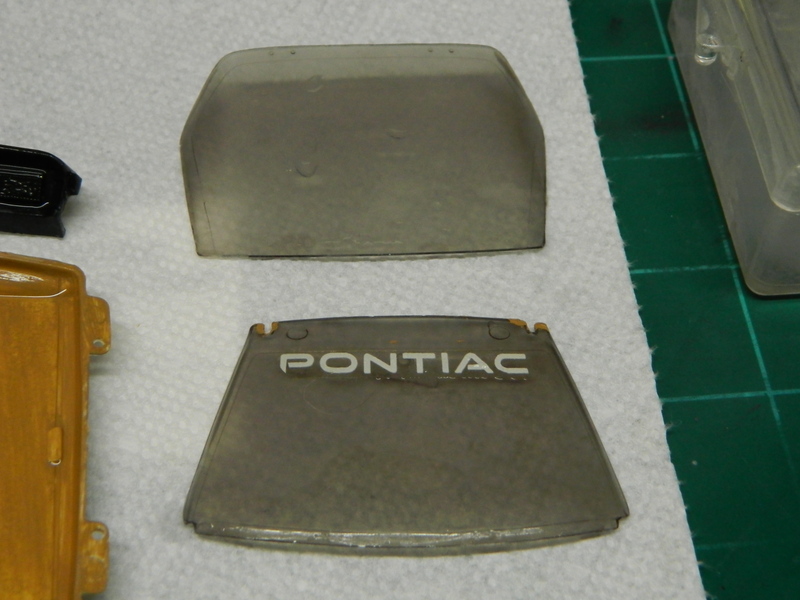 Don Yost says that enamel clearcoat won't yellow so what is his method of adding enamel clearcoat? 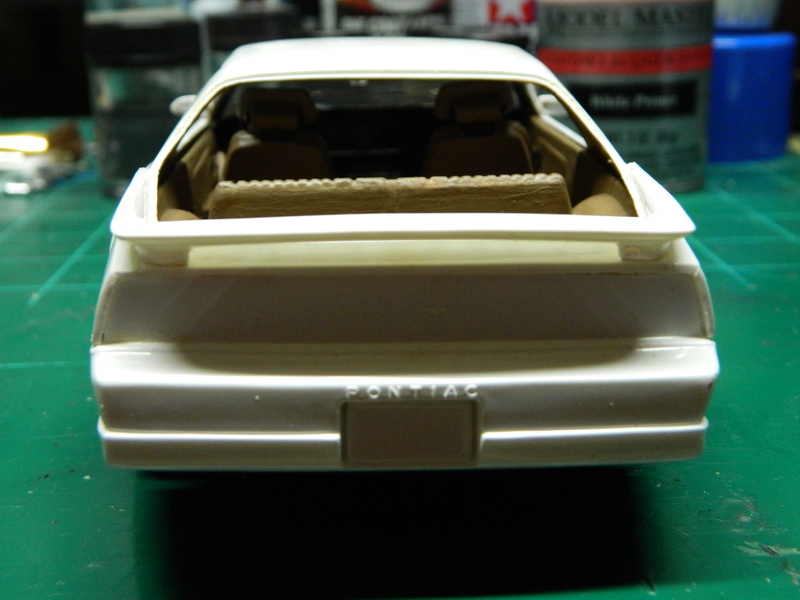 When this is dry, I'll paint the body parts with primer and then with white paint. I'll have to dig through my paints and pick out a white paint for the GTA. 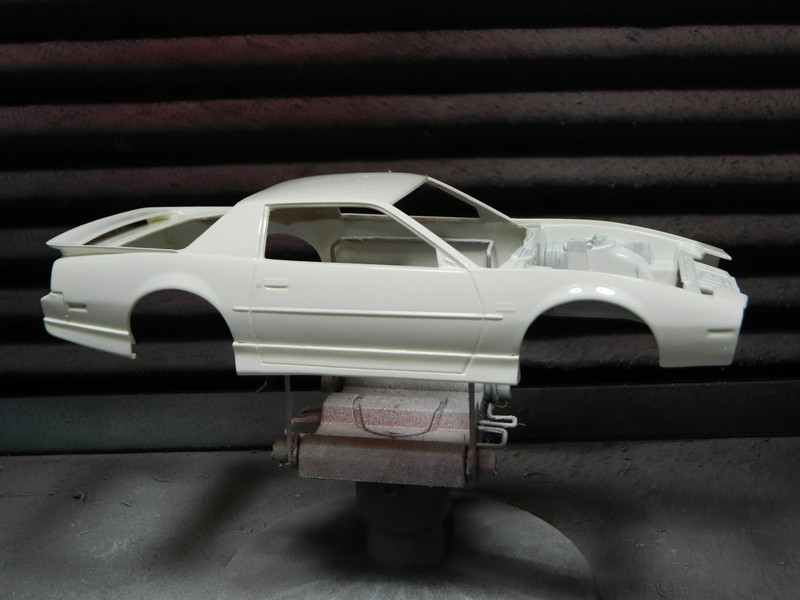 Don't forget you have to use enamel primer over the clear already on the body and not lacquer.. 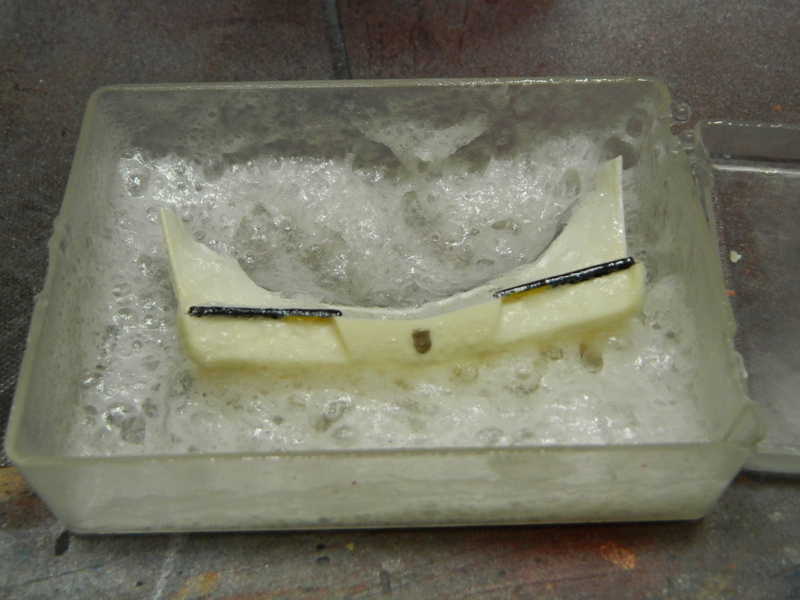 Your white will have to be enamel too. Thank you for the advice Barry! Actually, I'm going to strip and sand away the old clearcoat and start over with fresh primer and paint. 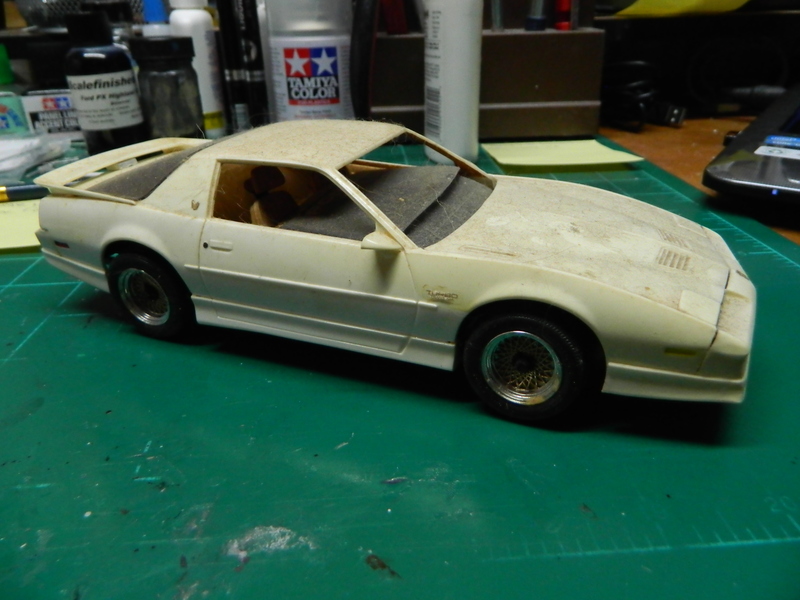 I am doing bodywork on this Firebird since I never did any on it when the kit was brand new. Since it was an enamel clear coat, you might try dunking it in Purple Power or similar for a few days to try to remove the coat. That way you won't risk losing any detail to sanding. 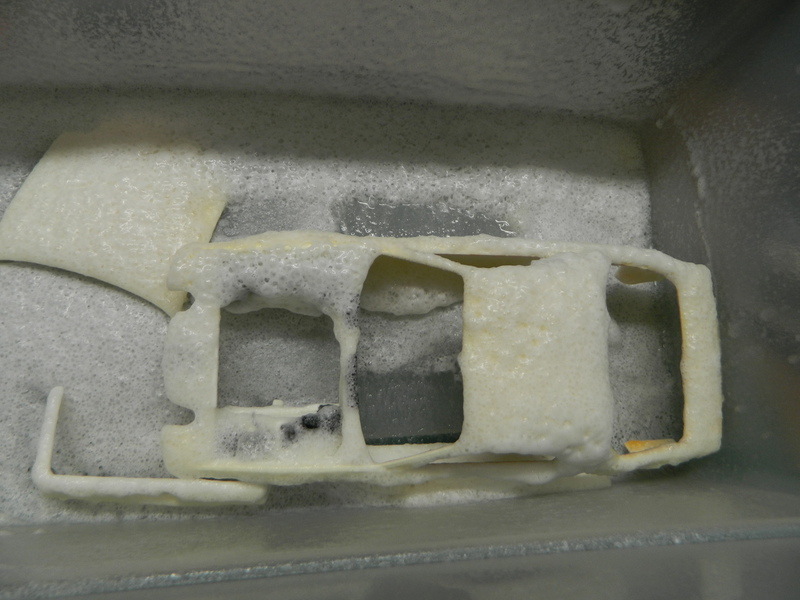 The Firebird has been sitting in a container completely covered with Easy Off Oven Cleaner. Back then, it was tube glue and the awful non-toxic tube glue which didn't work all that well. 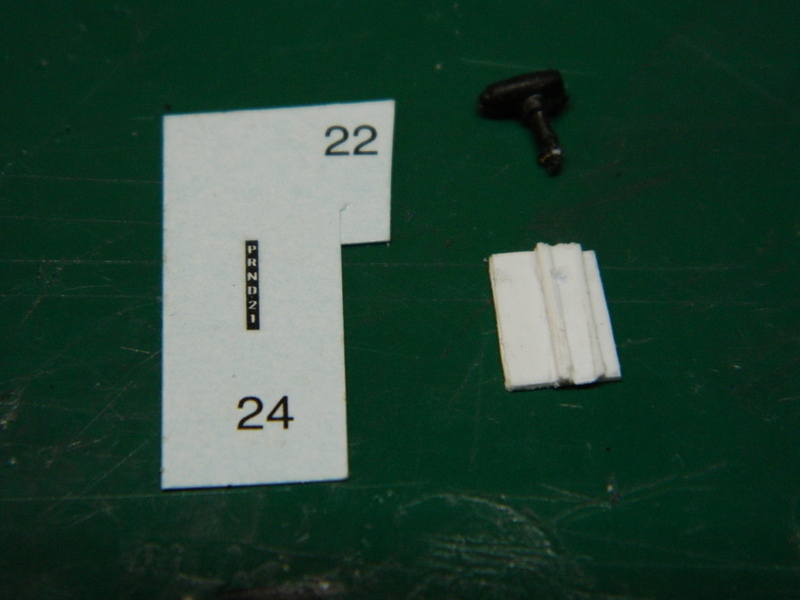 Today, we scrape the mounting points of chrome or paint to get better adhesion between the model parts. Today, if we want to take model apart that we had built in the last couple of years, get out the hammer and chisel, like you said! I was finally able to get some Easy-Off Oven Cleaner since the can I had was still half full, but didn't want to spray anymore. This is a second coat of the Oven Cleaner and then I'll wash it all in a few days. I got the Firebird out of the Easy-Off Oven Cleaner the other day and washed it off with Dawn dish detergent and a scrub brush. I set them aside to dry and forgot about them until a short while ago. 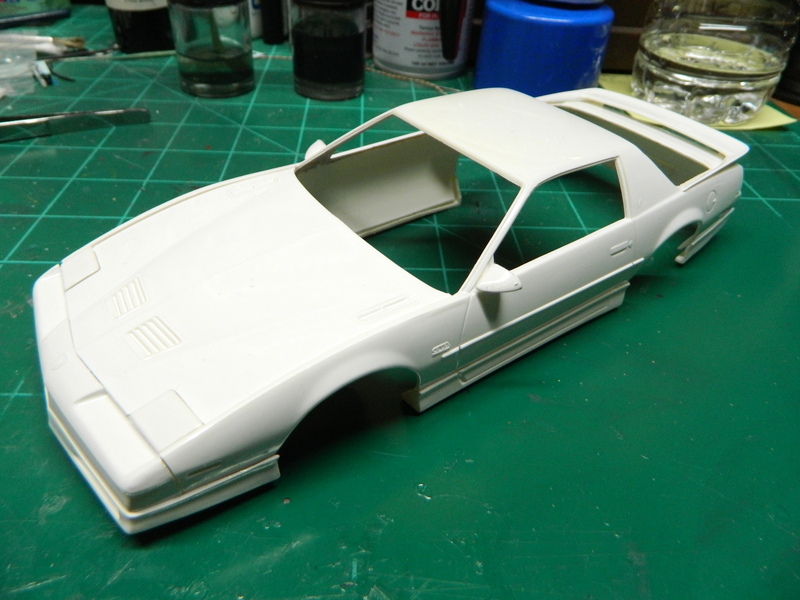 I grabbed a can of Model Master Classic White Lacquer and sprayed the body and hood. They appear to have turned out very nicely. 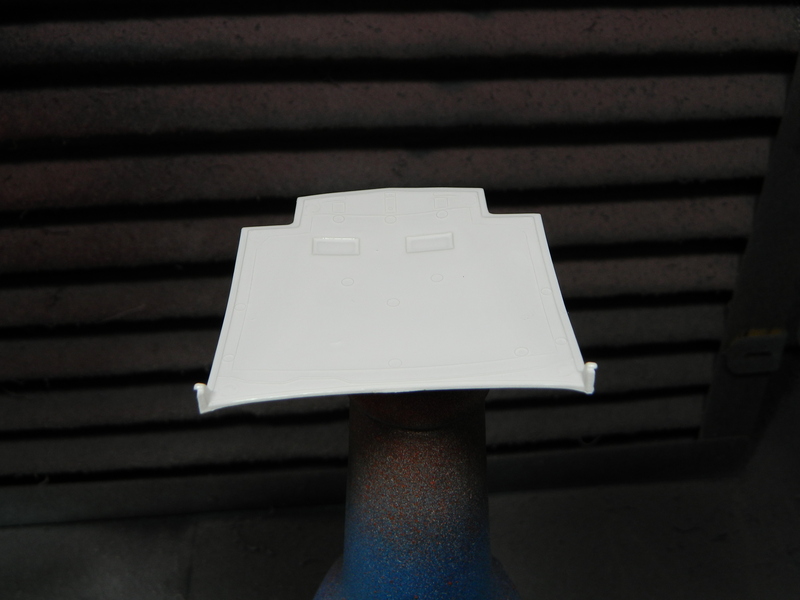 I always start by painting the bottom of the hood first. When that is dry, I'll flip it over and spray the top. As usual, I forgot to put something in the Oven Cleaner. Something being the front nose and the side mirrors. looks great so far, now I miss my GTA it was charcoal. 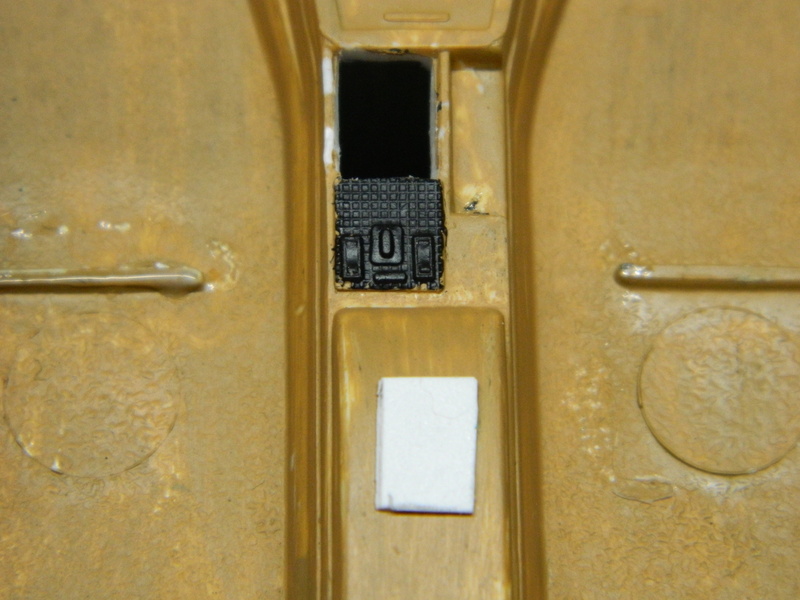 What you see here is a hole cut into the console for an automatic shifter. 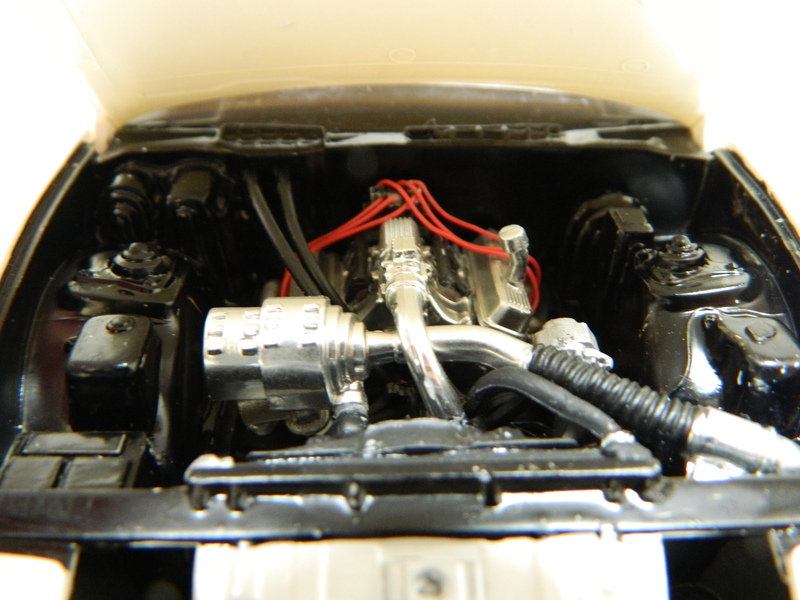 The kit is set up for a manual shifter and the engine has a automatic transmission attached to it. 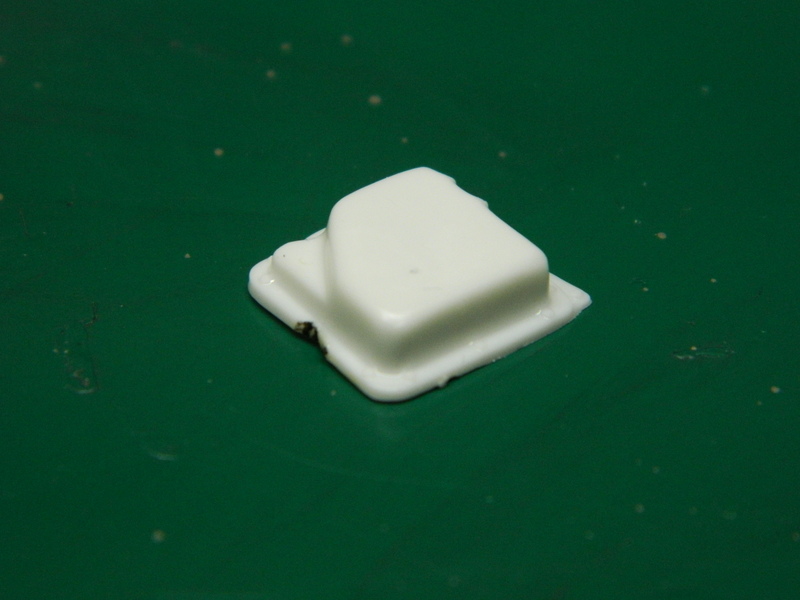 I cut out a rectangle piece of styrene for the shifter plate. The shifter plate is nearly complete and it just needs to painted, decaled and installed. 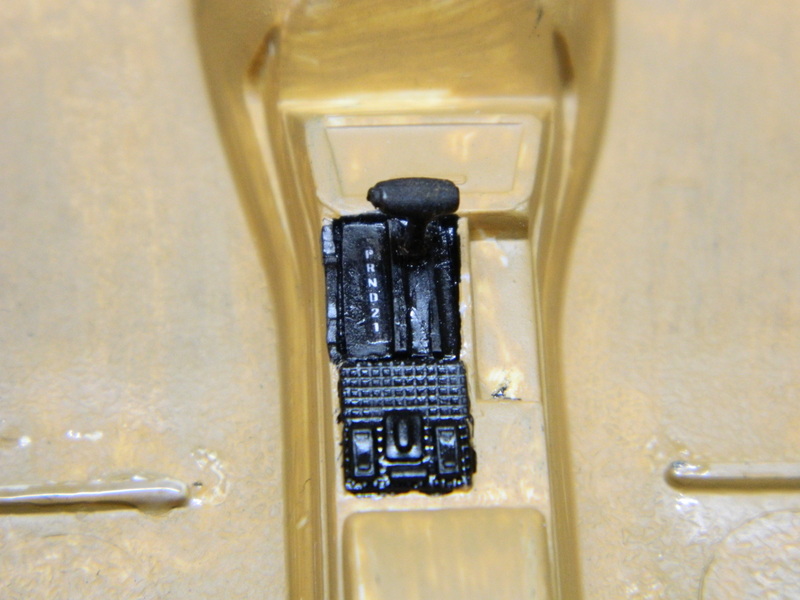 Here's the completed shifter plate installed in the center console. I just got the last of the parts out of the Easy-Off Oven Cleaner and gave them a good washing with a scrub brush and Dawn Dish Detergent. The nose. The transmission pan which was chrome plated. 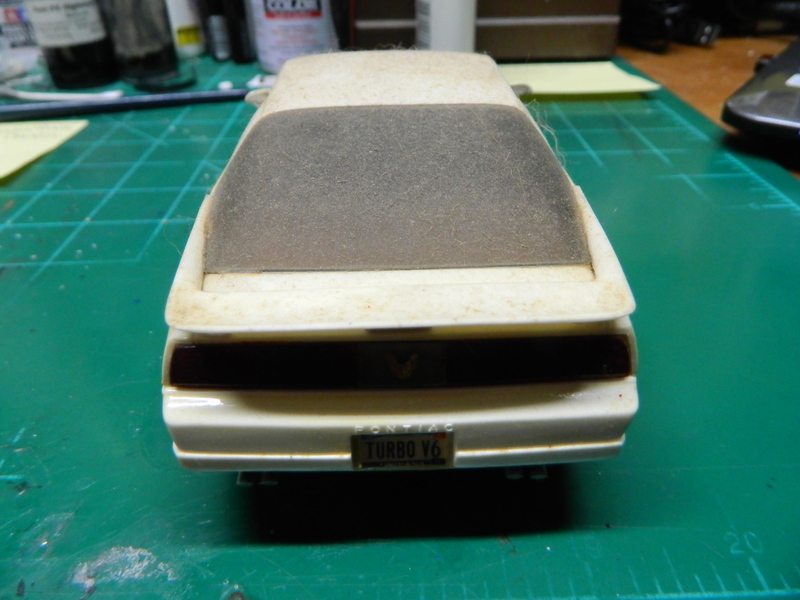 When this is dry, I'll give a squirt of primer and then a good dosing of Model Master Classic White Lacquer and the transmission pan a good coating of Model Master Aluminium Metalizer. So, I check my emails this morning and I find one from Scale Auto and it is the monthly newsletter. I scroll down the email looking at the different features and I get to Trending Topics. I find my Firebird GTA Rebuild listed there as well as my '70 Charger R/T! I must be doing something right! Thank you Scale Auto! 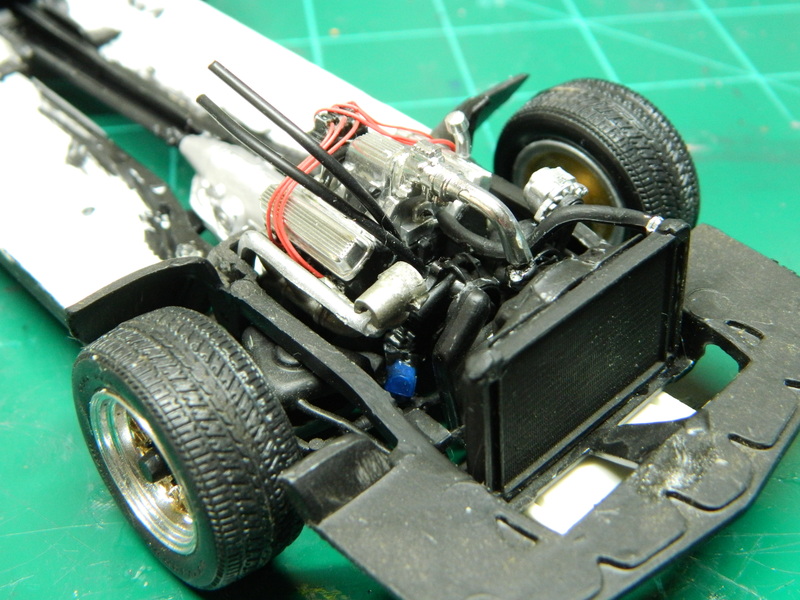 Yesyerday, I spent some time on the Firebird GTA by reassembling the chassis. 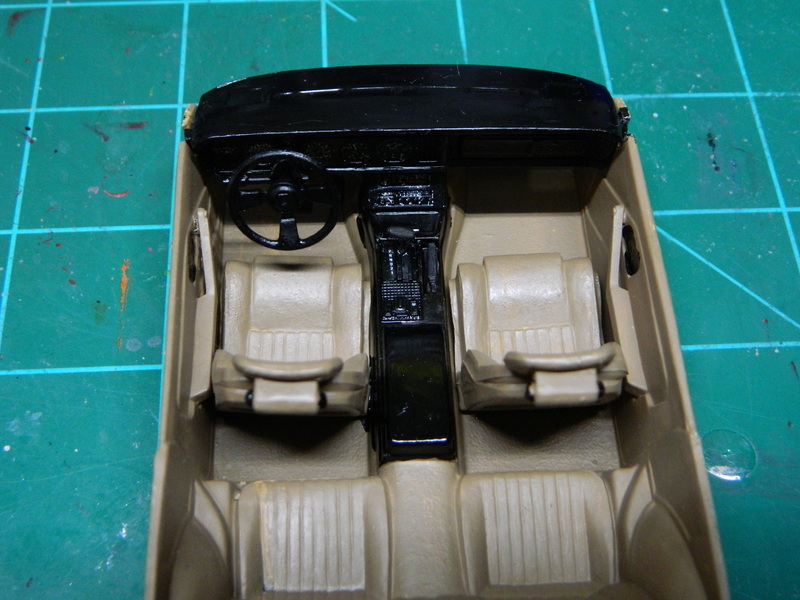 The interior is done with the revised center console. 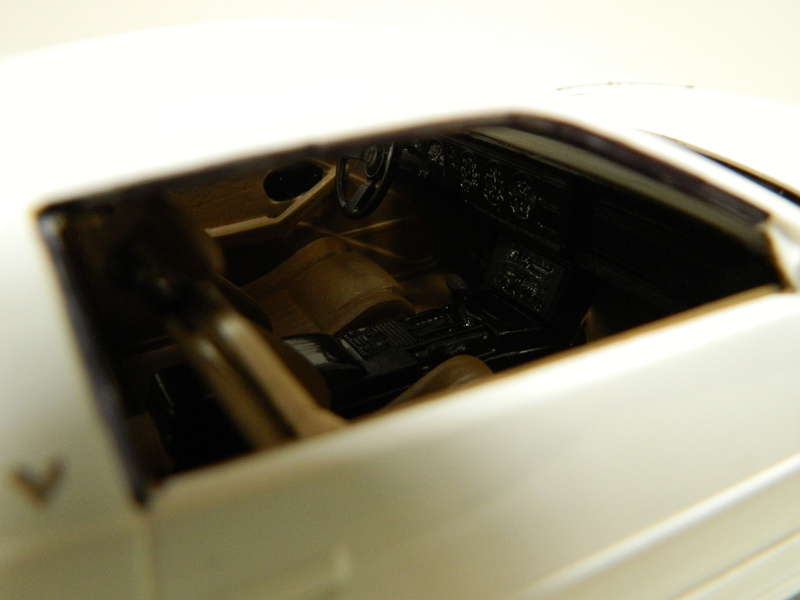 and repainted interior. 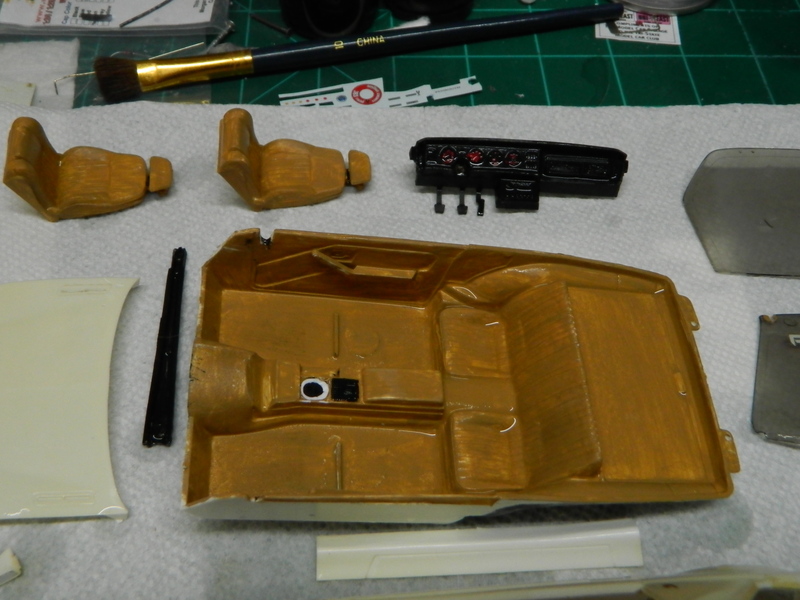 The body has been repainted and reassembled. I started reassembling the Firebird today. 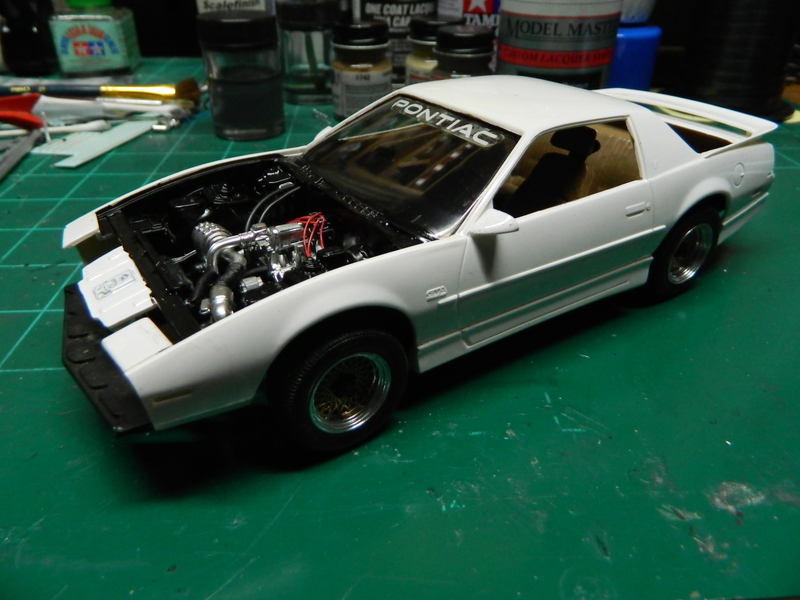 My '89 Firebird Trans Am GTA is finished. I would like to thank those who have taken the time to view and to comment on my WIP. 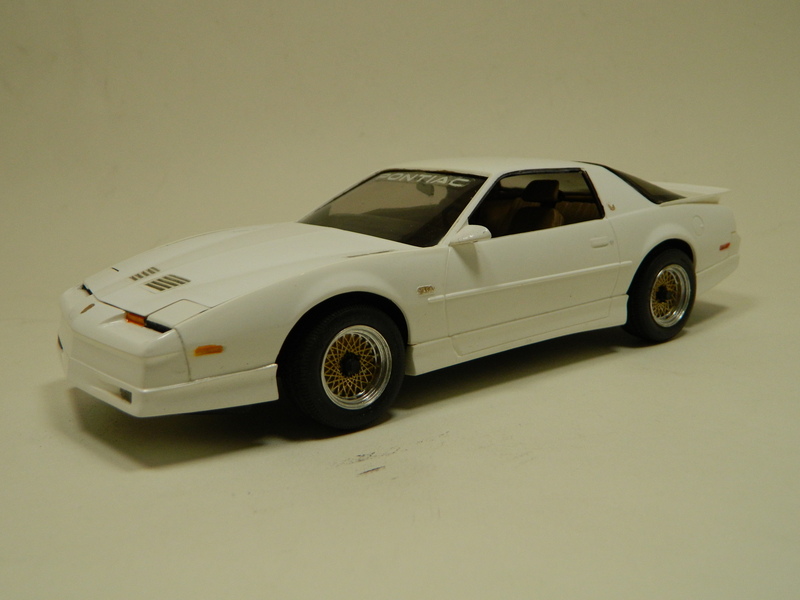 A month ago, the Firebird Trans Am GTA was listed in Trending Topics in the Scale Auto Newsletter. I just opened the latest issue and the Firebird was listed again! Thank you Scale Auto! Thanks Mike! When you have open shelves on a bookcase, things do tend to get a little dusty. And, the longer you wait, the more dust collects and eventually, it becomes dirt. I wish I could afford better accommendations for my built models, but it is what it is and I have to deal with these things as they come along. Cases are not cheap, thats for sure. I don't look forward to having no room left in mine. No. "Retire" means to take them off the shelf and pack them away. At some point, I may use the parts off of them for another project. No pellet guns, no firecrackers.